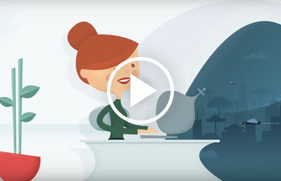 StructuredWeb's automated channel marketing platform empowers Partners and Vendors to drive demand and generate growth - faster, smarter and easier. Our user-friendly technology, superior channel data and comprehensive solutions boost partner marketing engagement, accelerate channel sales and optimize channel ROI. 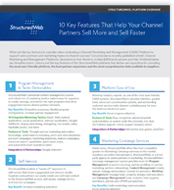 Discover how leading channel brands boost partner engagement and optimize channel ROI with these 10 Key Features of our platform. Complete the form to download your resource.